참법이란 경전을 읽으면서 죄를 참회하는 불교의식을 말하며, 서방 극락정토의 아미타불을 대상으로 삼는 것을 미타참법(彌陀懺法)이라고 한다. 이 책은 미타참법의 절차를 수록한 것으로 성종 5년(1474)에 세조비인 정희대왕대비가 성종비인 공혜왕후 한씨의 명복을 빌기 위해 간행한 것이다. 닥종이에 찍은 목판본으로 권6에서 권10까지를 1권의 책으로 엮었으며, 크기는 세로 33.4㎝, 가로 22㎝이다. 책 끝에 있는 김수온의 글을 통해 공혜왕후 한씨뿐만 아니라 선대왕과 왕비들의 명복도 함께 빌기 위해 간행했음을 알 수 있다. 또 여기에는 판각에 참여한 당시의 유명한 승려와 왕실종친 등의 직책과 이름이 자세하게 기록되어 있어서 왕실에서 국가적인 사업으로 추진하였음을 알 수 있다. 책을 펴내는데 동원된 사람들이 당대 최고 기술자들이고, 이들의 직책과 이름이 자세하게 기록되어 있다는 점에서 우리나라 목판 인쇄기술사 연구에 귀중한 자료로 여겨진다. “Chambeop” refers to a Buddhist penitence rite during which sutras are recited as part of the ritualistic act of penitence. When the penitence ritual is addressed to Amitabha Buddha of the Pure Land, this is called Mita chambeop (Amitabha Penitence Rite). 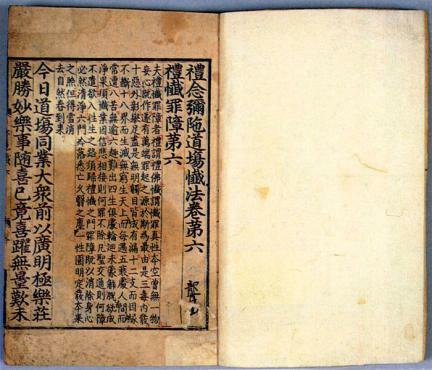 This book describes the steps in the Amitabha penitence rite, and it was published in 1474 (5th year of King Seongjong’s reign) under the patronage of Queen Dowager Jeonghui, widow of King Sejo, to pray for the soul of Queen Gonghye, the late consort to King Seongjong. 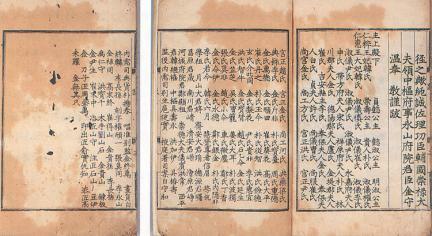 Printed on mulberry paper with woodblocks, the book contains volumes 6 to 10 in a single book and measures 33.4 cm long and 22 cm wide. 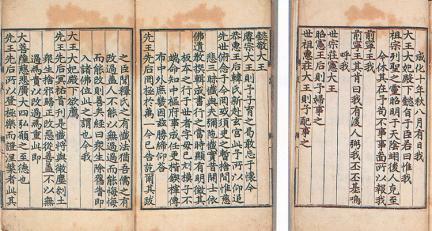 The postscript by Kim Su-on added at the end of the book states that the book was published to pray for the soul of the late Queen Gonghye, wife of King Seongjong, and other past kings and queens. 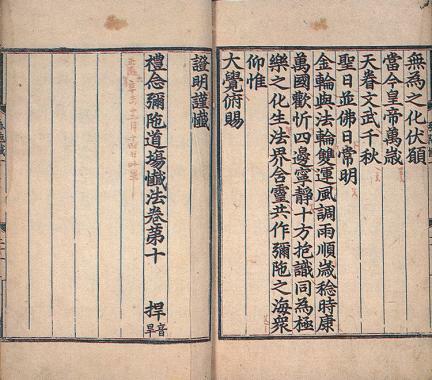 The book also provides the list of names of prominent monks and royals who took part in the carving of the printing blocks along with their titles and ranks, indicating that the publishing project was a high-profile project directly sponsored by the royal house. Those who were involved in the actual task of printing this book were specialists of the highest caliber, and the provided detailed information about these specialists is helpful in understanding the history of Korean woodblock printing.